Happy Holidays to all of my friends out there who celebrate them around this time of year! Here’s your next installment of Albert the Alien! The Mummy King and his generals are fully awake, and start attacking the kids on their field trip! 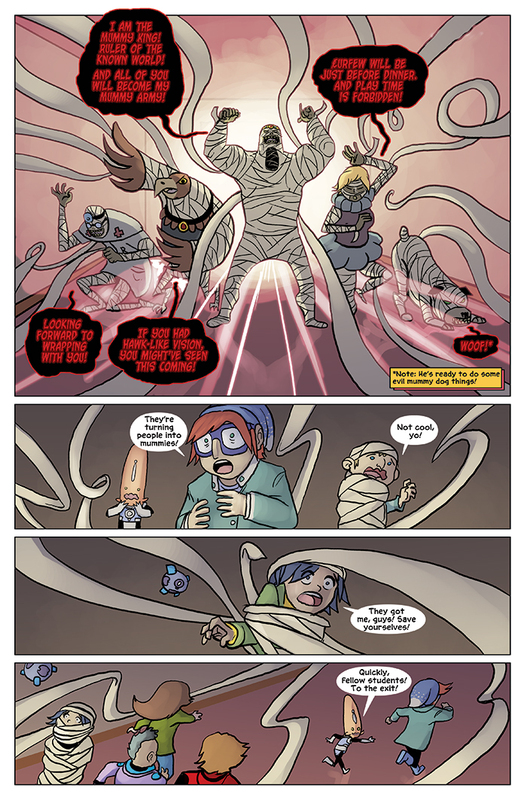 Their mummy wrappings start to capture the kids, starting with Wally and Miranda! Albert and Gerty heroically lead the other kids towards an exit, but will they be able to make it out? Find out next week!